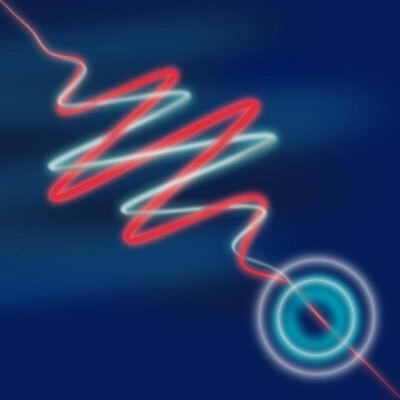 (Nanowerk News) Here's a nice surprise: quantum physics is less complicated than we thought. An international team of researchers has proved that two peculiar features of the quantum world previously considered distinct are different manifestations of the same thing. The result is published 19 December in Nature Communications ("Equivalence of wave-particle duality to entropic uncertainty"). Wave-particle duality is the idea that a quantum object can behave like a wave, but that the wave behaviour disappears if you try to locate the object. It's most simply seen in a double slit experiment, where single particles, electrons, say, are fired one by one at a screen containing two narrow slits. The particles pile up behind the slits not in two heaps as classical objects would, but in a stripy pattern like you'd expect for waves interfering. At least this is what happens until you sneak a look at which slit a particle goes through - do that and the interference pattern vanishes.